Athleisure clothing is one of the hottest trends out there in apparel stocks today. Athleisure, for those unfamiliar, is comfortable clothing that is designed for exercise but is also appropriate for everyday wear. Particularly with time-strapped, on-the-move millenials, athleisure clothing is riding a huge wave of interest. What a lot of investors might not understand is that younger consumers are wearing these clothes everywhere, not just to the gym. Athleisure clothing has even started showing up in some workplaces. That has set up athletic apparel stocks with a great opportunity to make investors money as this trend moves from the gym to everyday life. Not all clothing companies are created equal, however. Some have come into the space more quickly than others. 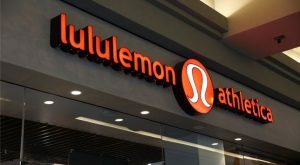 Lululemon Athletica (NASDAQ:LULU) practically invented the category, and a few other apparel companies wisely followed Lululemon’s lead. Here are four of the most promising athleisure stocks in 2019. Morgan Stanley estimates that between 2007 and 2018, activewear sales rose from just under $200 billion annually, globally, to $325 billion. They see that number topping $350 billion in 2020. While athleisure is just a part of that figure, it has clearly been driving much of the overall growth. Overall apparel sales, by contrast, have been growing at just 2% annually worldwide. And we can give Lululemon all the credit for finding the trend early, and continuing to ride it. Investors looked down on LULU stock for just being a fad years ago. LULU stock traded sideways for years as people thought they would never outgrow being a yoga pants store. Over the past year, however, LULU stock has doubled as the brand has proven it can grow sales outside of its traditional markets. Most impressively, Lululemon is making increasing inroads in the male apparel market. Make no mistake, LULU stock is really expensive. At 49x trailing and 37x forward earnings, you need a lot to go right for Lululemon to keep appreciating. The stock did just make a fresh new all-time high on Thursday, after all. But if you want to play a trend, you’re often best riding the industry leader. There’s no disputing that Lululemon has its finger on the pulse of the athleisure movement. If athleisure continues to surge, LULU stock will continue its winning ways. I recently warned not to buy Nike (NYSE:NKE) stock yet on the dip. So don’t take this as a call that you need to own Nike stock immediately here. The company announced a mixed earnings report, and for now, we must be careful to see if it is the start of a trend. Unfortunately, with a company as large as Nike, there are a ton of moving parts that can overshadow the growing athleisure part of the business. Near-term complications, such as trade wars and weakness in China could keep NKE stock down in coming the months. For a longer-term investment, however, NKE stock makes a ton of sense. It’s indisputably the leading apparel brand around the globe, and Nike has been quick to adapt to the athleisure trend. It may not have beaten Lululemon to the punch, but it has quickly gotten on board. Nike has innovated greatly in women’s apparel in recent years to make sure that it is front and center in the more casual everyday athletic space. That reaches from traditional things such as better marketing to innovative product designs and more capable and comfortable fabrics. Nike, not surprisingly given its global reach, has been able to move into top position, ranking No. 1 in total athleisure sales according to Euromonitor. The Gap (NYSE:GPS) probably isn’t the first name you think of when you consider athleisure stocks. However, it should be near the top of your radar. That’s because The Gap is undergoing what could be a very profitable transformation. 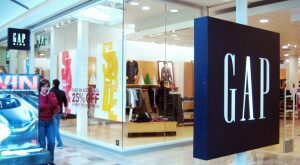 Recently, The Gap confirmed speculation that it will be spinning off Old Navy as a separate company. Of The Gap’s four big brands, Old Navy has the best operating profit margins and it is still growing nicely. The Gap stock has arguably struggled in recent years because it is mixed in with Banana Republic and The Gap, both of which are mature, low-growth brands with much lower profit margins. Lost in the shuffle, however, is The Gap’s other brand, the athleisure hit Athleta. Once Old Navy is established as its own business, that will leave Athleta as the high-growth face of The Gap going forward. Athleta is coming up on $1 billion in annual sales and just passed 150 stores, leaving it with about half the footprint of Lululemon so far. That gives it plenty more room to grow. Its sales trends remain reasonably strong, particularly in girl’s apparel. Athleta has been living under the shadow of Old Navy. Once the spinoff is complete, look for upside in Gap stock, which is currently yielding almost 4% and trading at 11x forward earnings. 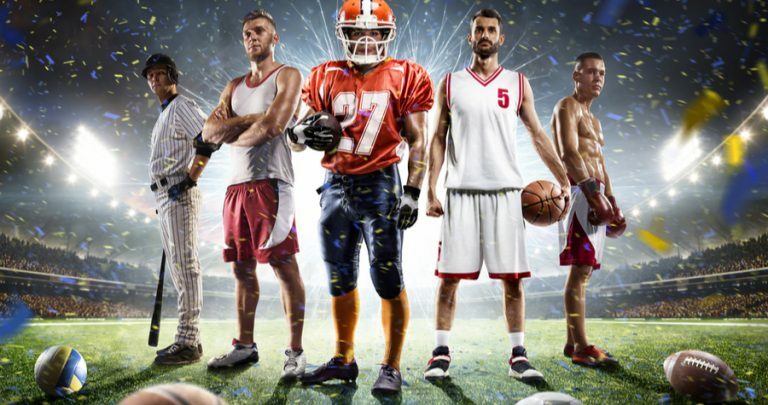 If you’re looking for a bargain in this red-hot sector, you’ll want to take a look at Under Armour (NYSE:UA, NYSE:UAA). Okay, bargain is in the eye of the beholder. At 35x forward earnings or so, UAA stock is still way more expensive than Gap on earnings. But earnings could turn around here quickly. As it is, Under Armour stock is still down close to 20% from its recent highs, and is still down more than 50% from its peak a few years back. Under Armour fell off the pace as its basketball shoe sales gave in to the inevitable and fell behind Nike again after a hot streak. But there’s more to the business than basketball. Unfortunately, some of Under Armour’s efforts into athleisure failed to pay off as much as expected. As a result, the company is changing up its approach. CEO Kevin Plank noted that many buyers of athleisure products never actually exercise — they simply like the look and feel. Under Armour is instead deciding to double down on what made it great in the first place: athletic performance. Under Armour aims to create more stylish lines that achieve superior performance to the competition. 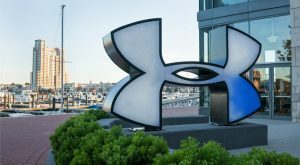 It’s still a question if Under Armour can pull it off, but with UAA stock down this far, the reward will be great if the company can turn things around. At the time of this writing, Ian Bezek did not hold a position in any of the aforementioned securities. You can reach him on Twitter at @irbezek. Article printed from InvestorPlace Media, https://investorplace.com/2019/04/athleisure-stocks-to-ride-the-trend/.